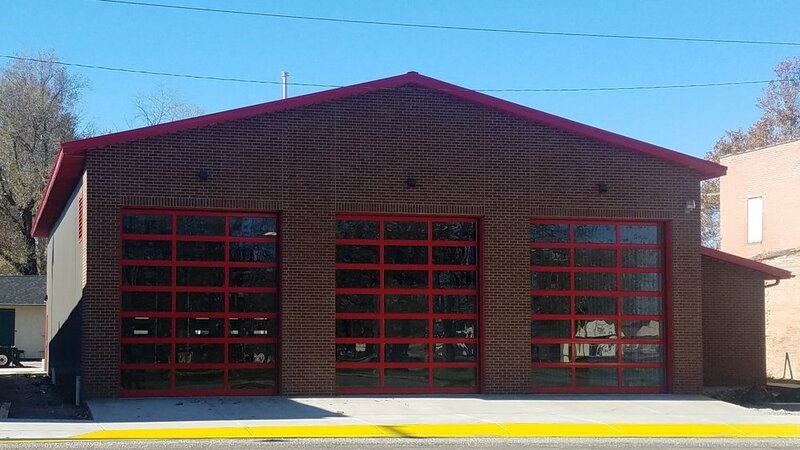 RIDGELINE STRUCTURAL SYSTEMS, INC (RSS) is an experienced engineering firm providing professional structural engineering and building design services to architects, contractors, component manufacturers, and building owners. We believe that the best engineering solutions adhere to basic design principles and code provisions while also working within the constraints of the manufacturing process, the construction process, and the preferences of the client. Our staff strives to maintain the highest of professional standards in all we do and we would appreciate the opportunity to serve you. Click here to view our engineering licenses and professional affiliations. Ridgeline Structural Systems offers a full scope of reliable engineering services and innovative design solutions for buildings and other structures in the industrial, residential, commercial and agricultural markets.. We place a high value on a structure’s performance, strength and structural efficiency in our design process, taking into account the unique aspects of every project while delivering customer satisfaction and professional results. Our structural engineers offer a complete range of services based on extensive project experience and resourceful thinking. Our structural engineering capabilities encompass structural analysis, design, investigations and evaluations, development of construction documents, and construction administration services. 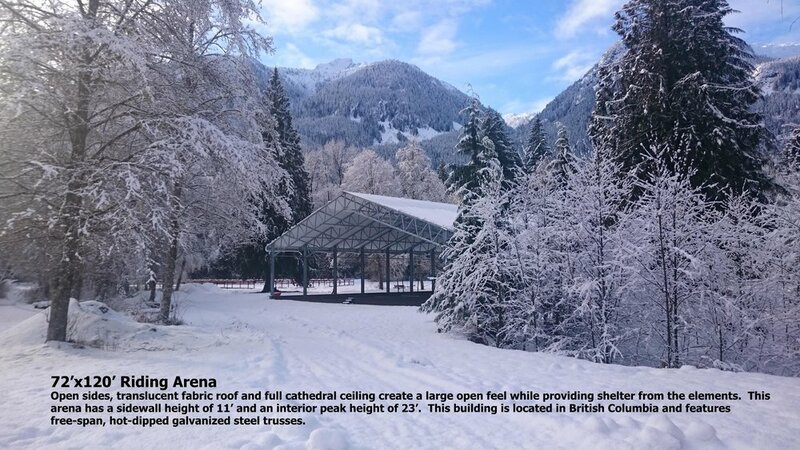 Our steel frame supported tension fabric building designs feature large clear spans, gabled roof with eave overhangs and a true peak, bright natural light due to the translucent roof covering, excellent resistance to corrosive environments, and great ventilation. 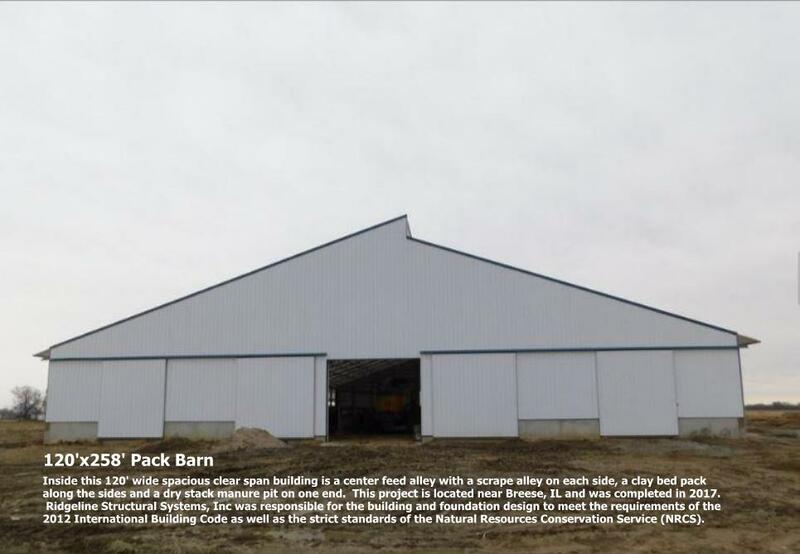 This building style is the perfect choice to house livestock; cover riding arenas or other large spaces; and store materials such as fertilizer, grain or salt. We are proud to be affiliated with WeCover Structures, Inc and to provide design services for all of their projects. Visit the WeCover Structures website at www.wecover.net to see many great examples of their innovative buildings. 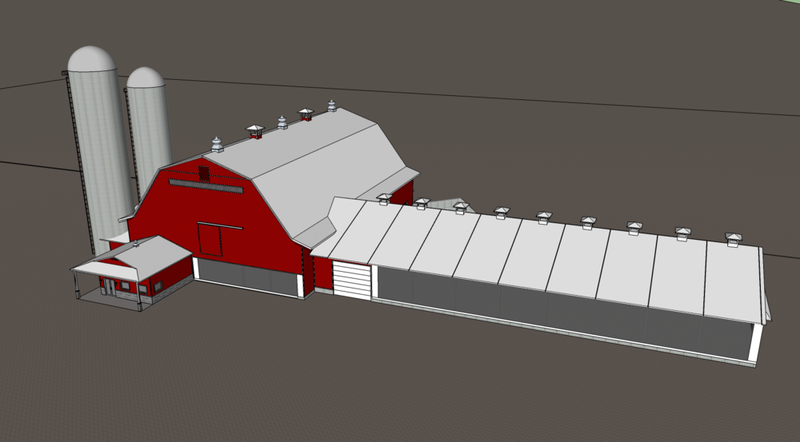 As a Technical Service Provider, we will work with the Natural Resources Conservation Service (NRCS) to design manure containment structures using NRCS Technical Guide Standards. 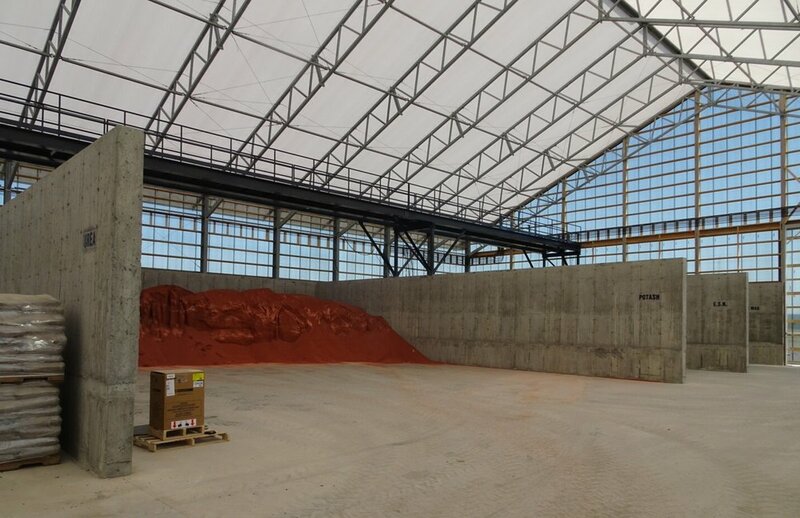 We provide foundation design for metal buildings or other structures including size and specifications for the reinforced concrete components and detailing of anchor bolts. 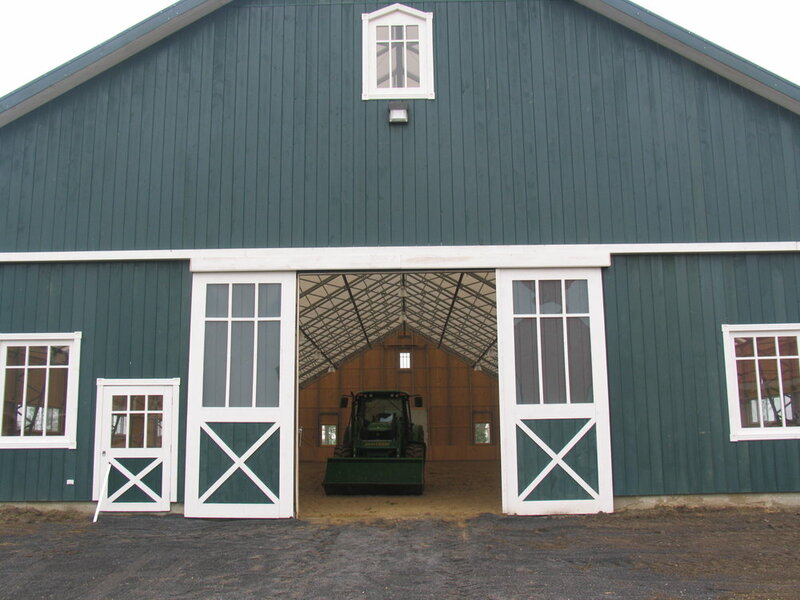 Post-frame buildings can be an efficient building style for many agricultural, commercial or residential structures. We will engineer and design your post-frame building to your exact expectations and requirements using state-of-the-art diaphragm design methods. 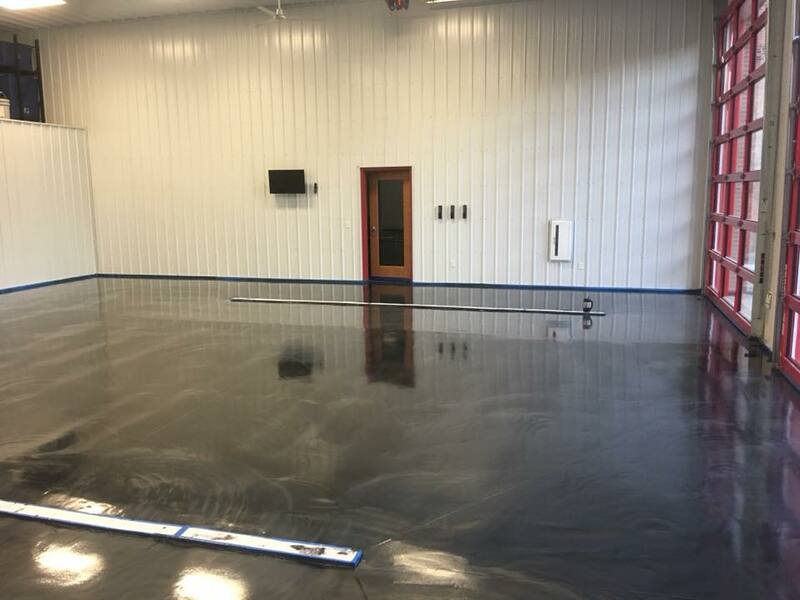 We are adept at incorporating a wide array of cost effective foundation options, large door openings, adequate interior clearances, and functional layouts to meet your project needs. Our designers will provide a complete set of custom, to-scale permit or construction-ready drawings for your project to save you time and money. We have the ability to provide 3D rendering on select projects as a way to ensure the clients aesthetic requirements for the building are met before it is constructed. Services are available to ensure the installation adheres to our structural drawings, to prescribe repairs and remediation as needed, and to provide final as-built drawings. At RSS, our engineering process and analysis incorporates 2D and 3D structural models of trusses and frames and includes finite element analysis and calculation of vertical and lateral loading. Our team is comfortable designing with all standard construction materials and we strive to provide cost-effective solutions communicated through complete construction ready drawings on each project. RSS engineers take into account vertical loads affecting the structure, including dead load, collateral load and live load, as well as the lateral loads of wind and seismic. We build structural models of frames and trusses to load the structure according to its intended use, determine internal forces in all of the members, and prove the structural adequacy of the design. 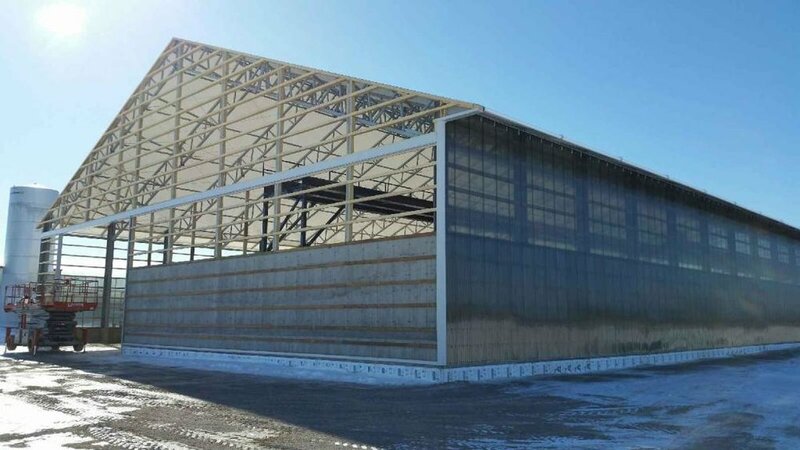 At Ridgeline, we size and detail the structural steel members as per the requirements of the American Institute of Steel Construction (AISC), and we specify building bracing elements such as X-bracing and portal frames for each steel building package. To ensure the proper placement of cast-in-place concrete, our skilled staff provides sizes and material specifications for structural walls, columns, beams, and slabs according to the provisions of the American Concrete Institute (ACI). We are well versed in the National Design Specification (NDS) by the American Wood Council (AWC). While keeping in mind the unique properties of wood as a structural material, we are proficient at designing conventional light framing or heavy timber framing using dimension lumber, solid sawn, nail-laminated (nail-lam), glued-laminated (glulam), or other engineered wood products. To establish adequate design for load bearing masonry, we ensure masonry walls and lintels are properly size as per ACI, resisting all design loads. We specify and detail any required reinforcing bars, anchorages or other embedments.